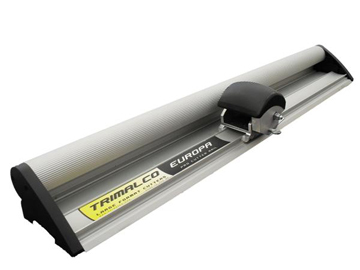 Europa, Trimalco's large format cutting system comprises a number of interacting products which together offer a high degree of performance and accuracy at a price unmatched by any other. 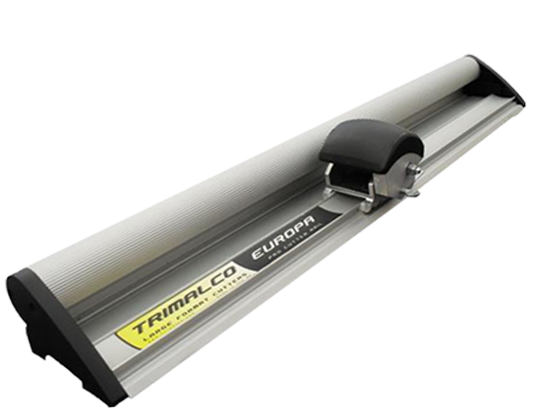 The cutting head, which is common to all Trimalco cutter rails, includes a magnetic blade magazine which accepts standard utility blades and standard scoring blades. A 45mm textile cutting wheel and holder is included as standard. Europa Cutter Rails - A choice of two cutter rails, in various sizes, is available. The unique lightweight, single extrusion design of the Europa offers an inbuilt rigidity which allows the cutter to span widths in excess of 5m. 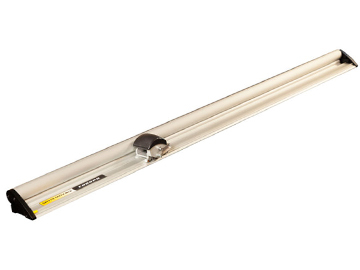 The Europa Pro, which outwardly looks identical, is made from two extrusions factory adjusted for increased accuracy. Europa Elevators - Adding a pair of elevators will allow you to raise and lower either cutter bar making it possible to align and cut the largest work singlehanded. accurate metric/imperial measuring scale. The Europa Table mount can be fitted to your own table or to our Europa Table. 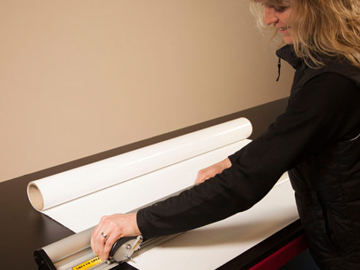 The mounting system allows the base extrusion to be adjusted for straightness and flatness. Europa Table - There are many proprietary modular aluminium table systems available but they are expensive and lack the strength and rigidity required in a product fit for this purpose. The aluminium extrusions used in the Europa Table have been designed to optimise the strength-to-weight relationship resulting in a system which is significantly lower in cost than all other aluminium profile systems. Each device comes with a one year warranty.